I love stripes! Vertical not so much, they remind me of bars but horizontal, I adore. They can take a room from ho-hum to wow. 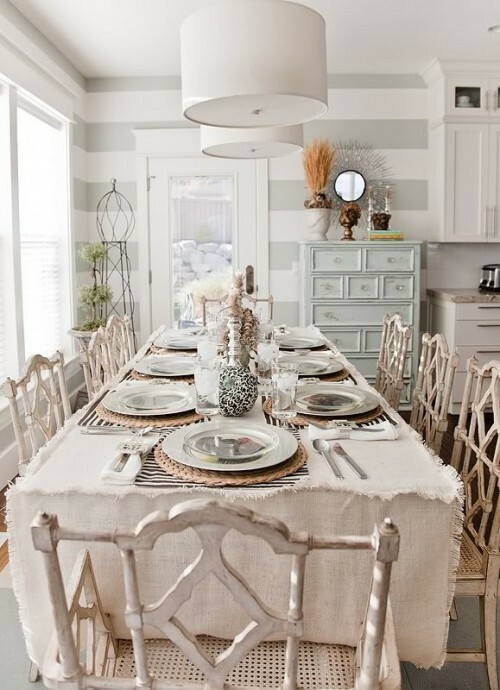 They can even make a room appear larger (like they do when you wear horizontal stripes) your eyes go outward, vertical stripes work better on you here. I myself stay away from wearing vertical stripes. At 6' I really do not need to appear taller thank you very much. 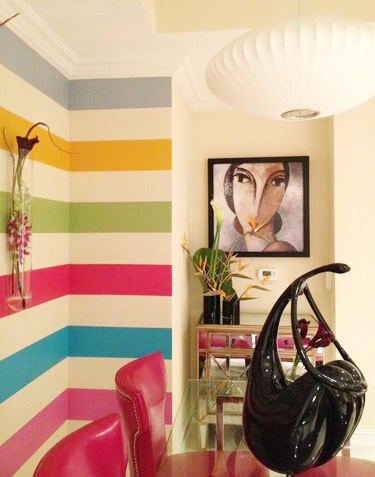 You can add stripes to just one wall or all. Colors? Two is typical but three or four? What a statement that will make! 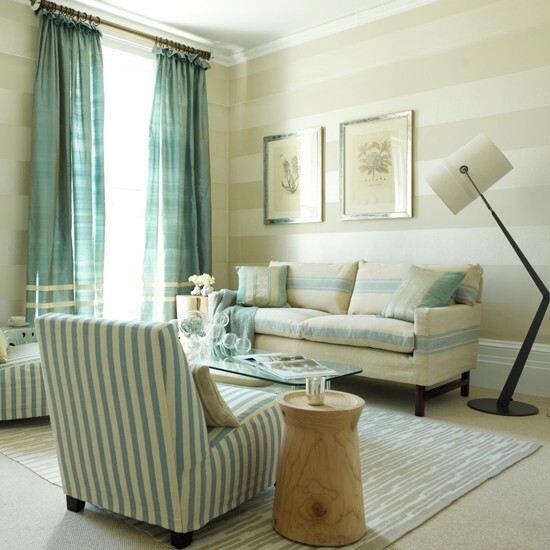 While these stripes add a soft calming effect to walls, striped soft furnishings also play an important role. Mix it up like they did here. Notice the weight of the shades of blues? Everything about this room says, "I am soft". They compliment each other instead of distract. Now here we have bold color stripes. If this room was talking it would be shouting. I love it all, the colors, the size, what's not to love? How about stripes in a little nook? 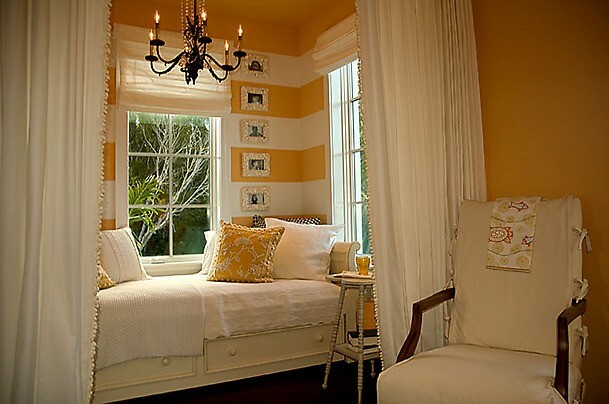 Just enough for a statement in a mustard yellow room. I love this look. Seaside Style. Blues, Browns and White! Whatever your style, stripes add interest. Did you notice in some of the pictures that stripes are all you need on the walls? Art becomes secondary. Stripes are all you need!